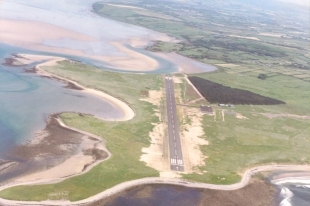 1981: The Sligo County Development Team, took the initiative, in co-operation with Sligo County Council and Sligo Borough Council, to establish a proper Regional Airport for Sligo and the North West Region. An Airport Development Committee was established by the County Development Team, under the chairmanship of the County Manager, to advance the project. The main aim of the Company was to establish a direct air link between Sligo and Dublin, to facilitate improved means of access to the North West for business and tourism, and to provide the modern communication links to markets, required to attract major inward investment to the area. 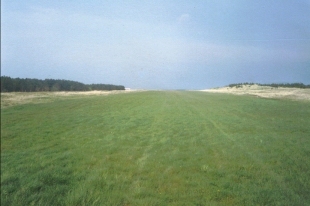 1981: By July ’81 the tarmac runway and access roadway were completed. 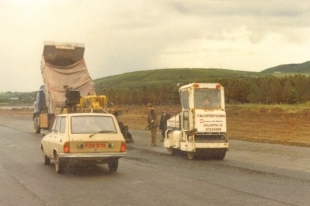 1983: By early 1983 Sligo Airport Terminal Building was completed. 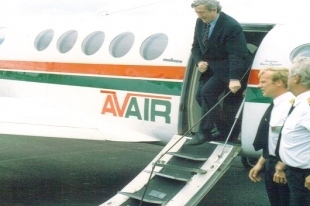 1983: Avair commenced the first commercial service between Sligo and Dublin on July 4th. The service operated on a twice daily basis. 1985: Avair ceased operating the Sligo Dublin service. 1987: Iona Airways commenced operating a Sligo to Dublin service. 1988: Aer Lingus commenced operating the Sligo to Dublin route using Shorts 360 aircraft, on a twice daily basis. 1990: Aer Lingus increased the number of daily services between Sligo and Dublin to three. 1990: Ryanair commenced operating the first cross channel commercial service from Sligo Airport with a flght to London Luton using an ATR42. 1991: Due to a fleet change from ATRs to Jets, Ryanair had to withdraw this service. 1999: Aer Arann took over the Sligo to Dublin route from Aer Lingus, using a Shorts 360 Aircraft. 2002: Euroceltic Airways awarded the Sligo to Dublin route. They operated this route from July 2002 to January 2003, when the airline ceased trading. 2003: Aer Arann reinstated as operator of the Sligo to Dublin route. 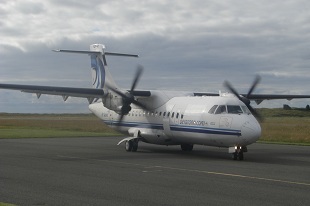 They continued to operate this service using ATR42 / 72. until July 2011. 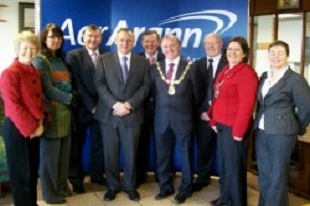 2009: In December, Aer Arann celebrated 10 years on the Sligo to Dublin route with a reception held at Sligo Airport. Guest speakers on the day included Paul Schutz Chief Executive Aer Arann, Albert Higgins Chairman Sligo Airport Board, Jimmy McGarry Mayor of Sligo and Paschal Mooney outgoing chairman, Failte Ireland North West. 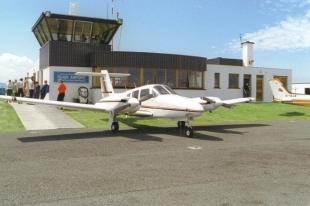 2009: Sligo Airport was granted planning permission for increased Hangar space and runway reconfiguration. The runway reconfiguration was appealed to an Bord Pleanala and an Oral Hearing is due to take place shortly. We must await for a determination of the outcome of this process before runway work can commence. 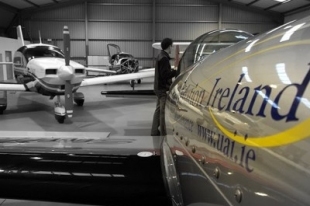 2010: Sligo Aero Club celebrates 35 years of flight training at Sligo Airport. 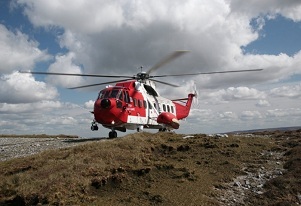 2011: Sligo Airport continues to operate as the North-West base for the Irish Coast Guard Search & Rescue Helicopter using a Sikorsky S-61 helicopter operated by CHC Ireland. 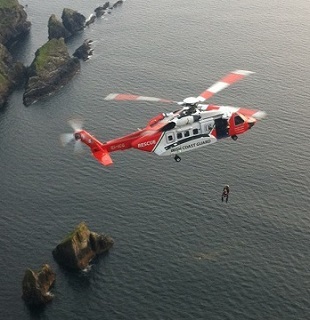 2013: The S-61 Sikorsky helicopter is replaced by the newer and more sophisticated S-92. This specially designed Search & Rescue helicopter has greater range and capability than the older S-61 and has been extremely busy in its first months of operation.